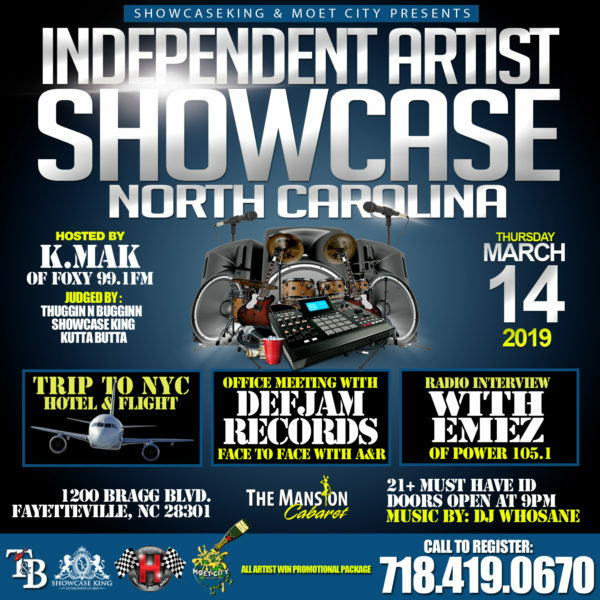 Showcase King INC in association with Moet City presents The Independent Artist Showcase: North Carolina Edition going down Thursday (March 14, 2019) at The Mansion Cabaret – 1200 Bragg Blvd. 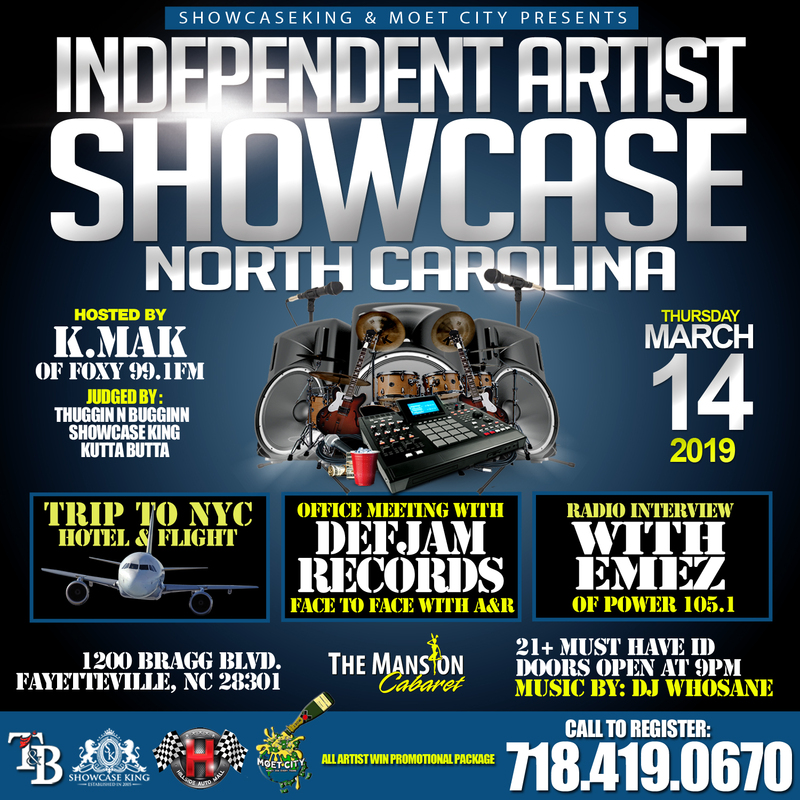 Fayetteville, NC 28301 / Doors open at 9PM / Hosted by: K.Mac of Foxy 99.1FM – With Music by DJ Whosane. 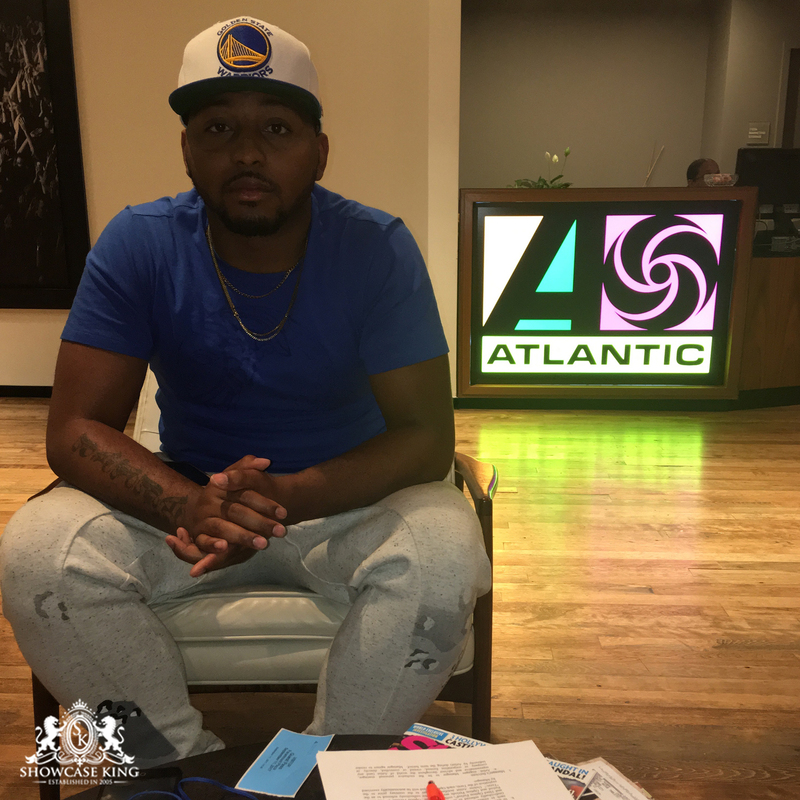 This showcase will be Judged by Showcase King, Viking of TNB Management, and Kutta Butta – BEST ARTIST WINS: ALL EXPENSE TRIP TO NYC, OFFICE MEETING WITH DEFJAM RECORDS, AND INTERVIEW WITH EMEZ OF POWER 105.1FM / ALL ARTIST MUSIC WILL BE SUBMITTED TO UMG.